The ergonomic graffiti-style rollerball pen! Each pen is unique with the STABILO EASYoriginal Graffiti Edition’s new look. With both right and left-handed versions as well as the ergonomic grip zones, pupils can easily learn to write and improve their writing skills. 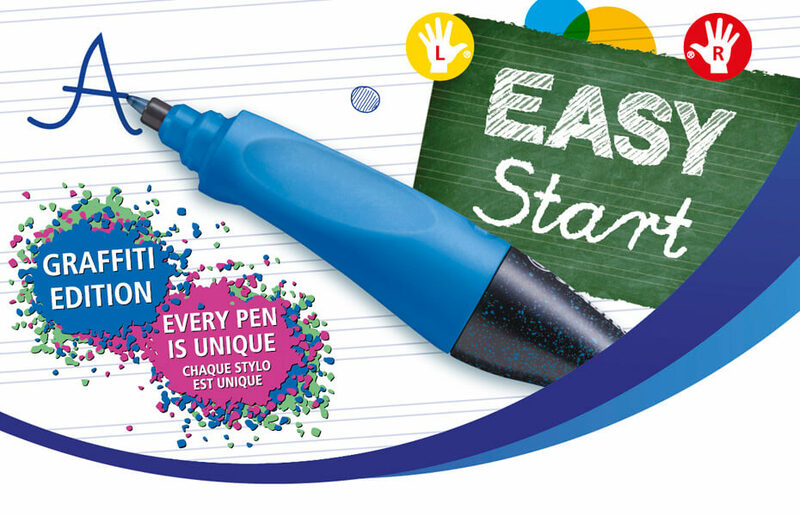 The new STABILO EASYoriginal Graffiti combines ergonomic and comfortable writing with the trendy graffiti look. The rollerball technology ensures easy handling, which enables neat handwriting without blotting or scratching. The robust rollerball tip also makes the pen ideal for pupils who want to learn to write or improve their writing because the tip is replaced whenever the cartridge is changed. Special right- and left-handed versions as well as the ergonomic grip zones additionally ensure a more relaxed hand posture when writing. Not only does the rollerball stand out due to its comfortable handling, but also due to its unmistakable graffiti look, as each pattern is unique, making each pen one of a kind.